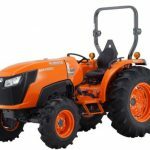 Are you thinking to buy Kubota M7-131 Tractor? You must read this. 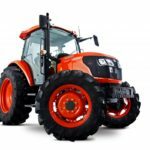 Let’s know more about popular, reliable farm tractor which is a Kubota M7-131 Tractor all information like Specification, Price, Mileage. 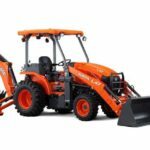 Here in this post I am going to present Kubota M7-131 Tractor – Overview, Price, Specification, Engine & Performance, Transmission, Fuel, Brakes, Tyre size and key features, etc. 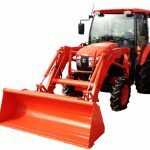 Here you can get all kinds of information about Kubota M7-131 Tractor. 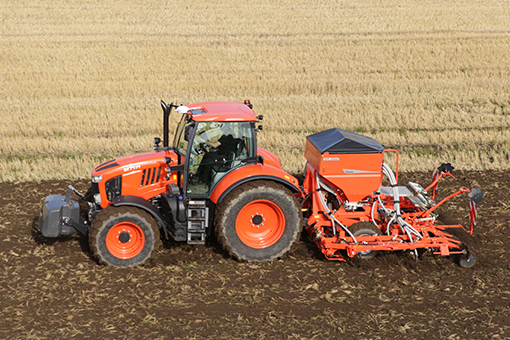 Kubota M7-series are the most powerful tractors yet in Kubota tractor industries. It has a 128HP tire 4 final engine. That offers a high level of speed control with a 24 speed Powershift transmission and Multitasking hydraulic system, including a 4 speed live independent PTO. Kubota M7-131 tractor has new V6108 engine boasts the latest in clean technology. It’s common rail system electronically manages the timing and high-pressure injected fuel in stages for optimal combustion. 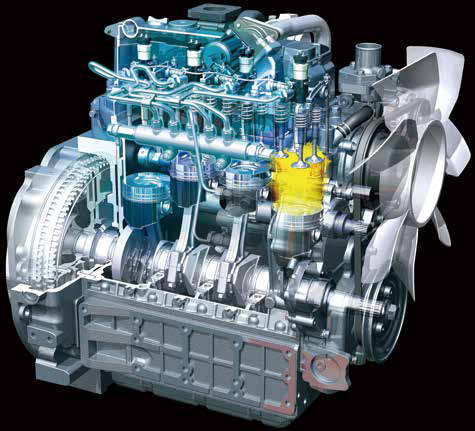 This engine provides greater efficiency, less engine noise, and better fuel economy. The main features of this V6108 engine are water cooled 4 cycle diesel engine, 4 cylinders, displacement cubic capacity is 6124CC, engine rated is 2200RPM and boost power is +20HP. Power is the most important part of any vehicle. 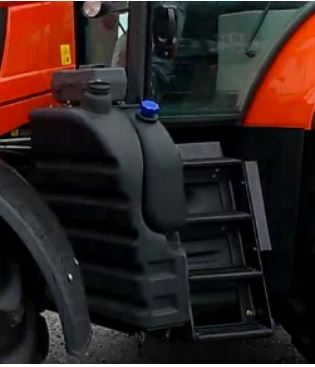 This tractor power designed with these new features such as Common Rail System, Selective Catalyst Reduction, Exhaust Gas Reduction, Diesel Exhaust Fluid. M7-131 Tractor has plenty of power to handle any task quickly and efficiently. 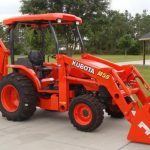 Kubota M7-131 tractor has KVT (Kubota Variable Transmission) that provide an infinite number of forward and reverse speeds. Its transmission type is Powershift. Its main gear shift is 4-speed Powershift. This tractor maximum travelling speed is 25mph,40kmh. It has an electro-hydraulic shuttle. Kubota M7-131 new generation model provides energetic hydraulics such as CCLS and a variable flow rate that can manage a variety of work at the same time. It has 21GPM independent PFC pump. The lifting capacity at lift end of this tractor is 20723lbs and lifting capacity at 24in. Behind is 11793 lbs. It’s more specification is seen in the below specification table. 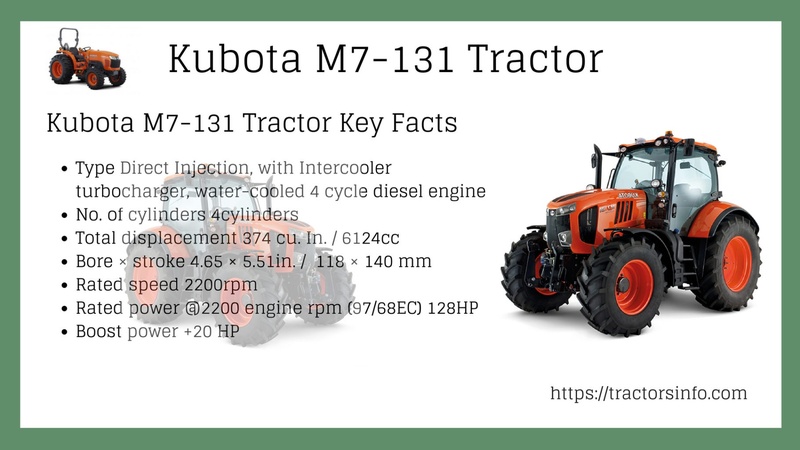 The Kubota M7-131 tractor designed with a large tank for fuel and its capacity is 87gal. (330 litres. ), DEF is 10gal. It’s good for long work because it has a large fuel tank, So no need to refuel frequently. 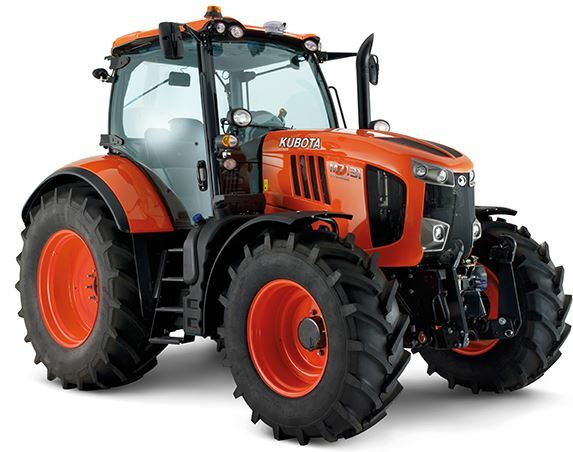 The Kubota M7-131 tractor has a large tire that is well suited for any field operation. Its front tire size is 14.9R28, and rear tire size is 18.4R38. Kubota M7-131 implemented with LM2605 front loader. Kubota’s Front Loader Joystick greatly simplifies front loader functions so you can focus on the work ahead. 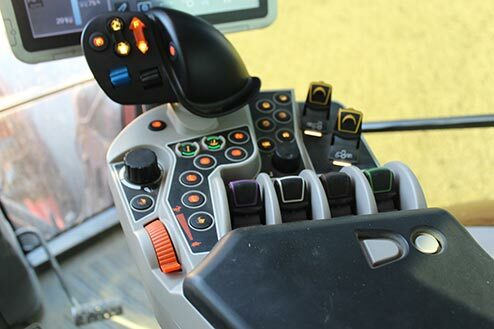 The joystick is located on the control console for smooth and easy shifting and better forward visibility. Kubota M7-131 tractor front loader mechanical self-leveling system ensures an unobstructed view ahead With no upper loader link to get in the way. The Euro Quick Coupler using you can attach and detach a wide variety of tools with a quick and simple operation. With the pull of a single lever hydraulic quick coupler, a driver can quickly and simultaneously attach and detach all four hoses using a single lever. For more specification see in the specification table. 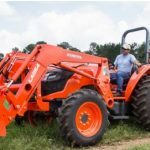 Here in this article, we are mentioning all kinds of information about The Giant Kubota M7-131 tractor. I hope this information is useful for buy this tractor but if you have any query and problem about this article, then please comment below in comment box we will solve your problem soon thank you.